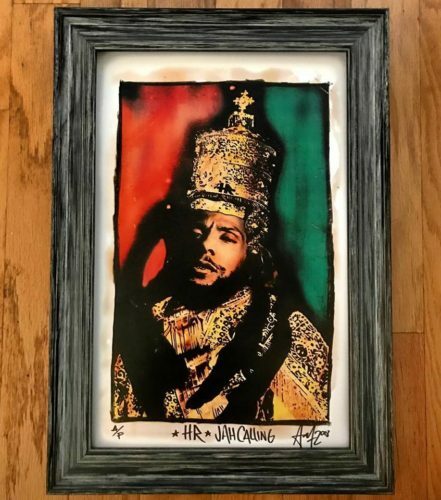 This is a very limited 11 x 17 fine art print portrait of HR as Selassie, printed on thick card stock and hand signed and titled by the artist. This awesome piece was created by rock n’ roll gig poster/ cover artist, Adam Turkel, for his portrait series in St. Petersburg, Florida 2018. Each printed and hand signed by the artist. Here’s your chance to score this great original collectible. Would make a great gift for any fan!